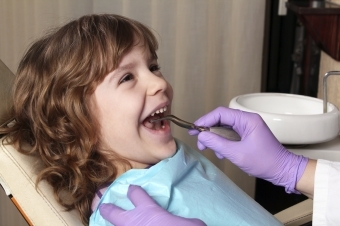 Regular dental checkups and cleanings with the SmileTown Burnaby team, beginning at an young age, helps to maintain the health of your child’s baby teeth, and it also makes it possible for the dentist to monitor your child’s adult teeth as they emerge, to catch any potential problems early on. Regular cleanings at a dental clinic are an important supplement to at home oral care because a dentist or dental hygienist can clean teeth using tools and techniques that are not available to you at home. Fluoride, a mineral found in water (fresh & salt), soil, and some foods, strengthens teeth and helps make them resist decay. It also helps reverse tooth decay that has already begun. Your child's Burnaby pediatric dentist may suggest the use of a fluoride toothpaste or rinses, or and may also suggest fluoride treatments during dental checkups. This will depend on the level fluoride your children receive from food and water. To help prevent tooth decay in the groove and depressions of the teeth, a dental sealant (a thin, plaster material) is sometimes applied to the chewing surfaces of teeth. Misaligned teeth can cause a surprising amount of damage. They can break and chip more easily, and can be much more difficult to keep clean than properly aligned teeth. The general consensus among dental professionals is that children should be evaluated by an orthodontist for the first time by the age of 7, in order to to establish if orthodontic intervention may be necessary. Early orthodontic evaluation helps lessen, or even completely circumvent, the need for more extensive, expensive orthodontic treatment later on.